George E. Stone (born George Stein, May 18, 1903 – May 26, 1967) was Polish-born American character actor in movies, radio, and television. He was born George Stein in Łódź, Congress Poland into a Jewish family. He sailed from the Port of Hamburg, Germany, as a steerage passenger on board the S/S President Grant, which arrived at the Port of New York on May 29, 1913; at Ellis Island, he passed federal immigrant inspection with his two sisters and a brother. As an actor, Stone's slight build and very expressive face first attracted attention in the 1927 silent-film 7th Heaven, where he played the local street thug The Sewer Rat. Originally billed as Georgie Stone, he made a successful transition to talking pictures in Warner Bros.' Tenderloin, speaking in a pleasant, slightly nasal tenor. Stone was then typecast in streetwise roles, often playing a Runyonesque mobster or a gangland boss's assistant. He was best known as Rico Bandello's right-hand man Otero in the gangster classic Little Caesar (1931). He adopted a dapper pencil moustache for these screen roles. One of his most famous appearances was in the classic musical 42nd Street (1933), in which wiseguy Stone assesses a promiscuous chorus girl: "She only said no once, and then she didn't hear the question!" 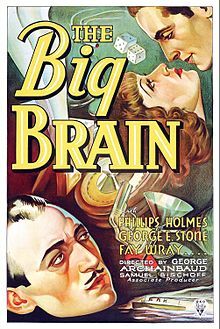 His one starring film (as George E. Stone) was the Universal Pictures gangster comedy The Big Brain (1933). In 1939, comedy producer Hal Roach hired Stone for his film The Housekeeper's Daughter. It was a difficult role: Stone had to play a mentally retarded murderer in a sweet, sympathetic manner. 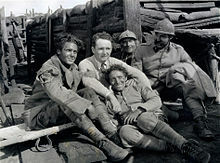 Stone went clean-shaven, emphasizing a boyish, innocent look, and played the part so sensitively that Roach often cast him in other films. In 1942, Stone burlesqued Hirohito in Roach's wartime comedy The Devil with Hitler. Stone's most familiar role was "The Runt", loyal sidekick to adventurous ex-criminal Boston Blackie in Columbia Pictures' action-comedies. Stone was supposed to perform with Chester Morris in the first film of the series, Meet Boston Blackie, but was sidelined by a virus. Actor Charles Wagenheim filled in for him, and Stone joined the series in the second entry, Confessions of Boston Blackie. Stone's performances in the Blackies were well received, and he enthusiastically played scenes for laughs (doing dialects, disguising in women's clothes, posing as a child, or reacting in wide-eyed amazement or frustration to each story's twists and turns). Both Chester Morris and George E. Stone reprised their screen roles for one year in the Boston Blackie radio series. In the 1942 film Little Tokyo, U.S.A., he played the Japanese agent, Kingoro. Even in his smallest roles, Stone made an impression. In the 1945 newspaper-themed feature Midnight Manhunt, he plays a murder victim who doesn't say a word but expires eloquently. Another tiny role has Stone contributing to the perennial holiday favorite Miracle on 34th Street – but not in the film. He appears in the coming-attractions trailer, as an openly cynical screenwriter confronted by a bossy movie producer. Stone made guest appearances in movies and television through the 1950s, in situation comedies (The George Burns and Gracie Allen Show) and action-adventure shows (Adventures of Superman, as mob leader "Big George"). When it came to playing tough guys, Stone could be just as convincing as the biggest, brawniest men. In the feature film The Man with the Golden Arm, Stone is the vindictive mobster who has been cheated at cards, and attacks dealer Frank Sinatra's friend Arnold Stang in a brutal fistfight. Stone's vision deteriorated in the late 1950s, limiting him to walk-on roles or undemanding character parts. He plays nervous stool pigeon "Toothpick Charlie" in Billy Wilder's comedy hit Some Like It Hot, and became a TV regular in the popular Perry Mason series, in the minor role of court clerk. One of Stone's closest friends was reporter-humorist Damon Runyon. Stone often appeared in movie adaptations of Runyon's work; his last film, Pocketful of Miracles (1961), cast Stone as a blind beggar. For his contributions to motion pictures, Stone received a star on the Hollywood Walk of Fame. His resting place is at Mount Sinai Memorial Park Cemetery. ^ Allan R. Ellenberger (1 May 2001). Celebrities in Los Angeles Cemeteries: A Directory. McFarland. p. 187. ISBN 978-0-7864-5019-0. ^ James Robert Parish (1978). Hollywood character actors. Arlington House. p. 487. ^ Joseph F. Clarke (1977). Pseudonyms. BCA. p. 155.